First of all, what if the leak is being caused by a fault in the faucet itself or the tub spout? Maybe the leak is due to the trim plate not sealing properly or some bad grout or caulking in or around the tile. In all of those instances the plumber would have created a hole in your ceiling that does not need to be there. It would be a shame to remove a large section of sheetrock when all that is necessary is better waterproofing of your shower! Some may argue that the sheetrock is bad and needs to be replaced anyway. The easy answer to that is that we are plumbers – not water damage repair techs. 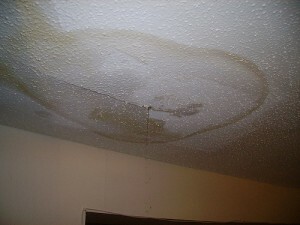 It is not for us to determine what needs to be done to fix water damage. It is us to fix the plumbing that is causing it. When that is done, we can refer our customer to a suitable water damage company. We do our job and let them do theirs. First you make sure that no toilets are running, no sinks leaking and no water is being used anywhere in the house. You check your water meter. Most meters will have a small dial that detects even a small amount of water usage. You can test this by turning on one of your hose bibs so a trickle of water is coming out of it. Then look at your meter. The small dial (usually round or triangle) should be turning visibly. When you turn of the hose bib, the dial should stop. If it continues to move, you have a “supply side” leak somewhere. You can further narrow it down by turning off the main shut-off valve to your house. If the dial keeps moving, your leak is outside, before the house. If it stops, the leak is in your house somewhere (maybe the tub/shower). 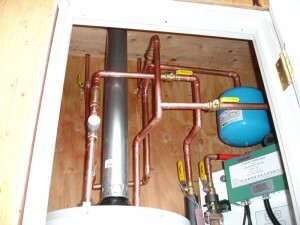 You can narrow it down even further by turning of the cold supply to your water heater. If the dial stops, the leak is on the hot side somewhere. If it keeps going, it is on the cold side. 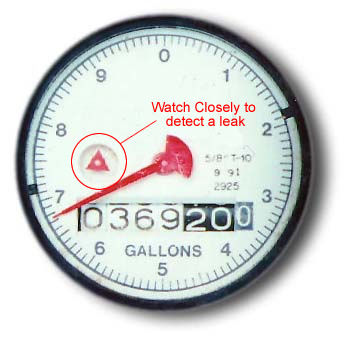 Let’s assume that the meter is not spinning, so we know it is not a leak on the supply side of your plumbing system. The next thing to do is start from the bottom up. Get a ladder and put it under the wet spot in your ceiling. This will make it easier to hear if water is dripping onto the sheetrock. You may even want to poke a small hole in the sheetrock with a small screwdriver and let any standing water drain into a bucket. That way when the leak starts it is easier to see. Plug the tub drain, fill up a 5 gallon bucket (from a different source or water) and pour it into the tub, being careful not to splash. Do that a few times until your tub is holding a fair amount of water. Does that recreate the leak? Don’t forget that you need to give it some time for the leak to show up. If that does create a leak, the problem is with the “strainer” itself. It may be loose, or the putty (or whatever sealant was used) wore out. Often this can be fixed by loosening the drain, packing putty between the strainer and the tub and retightening. If that does not create the leak, pull the plug on the tub and let the water drain. Does that do it? Again, give it time for the leak to show up, this is not a 5 minute process. If the leak shows up them, it is the drainage plumbing. In this case, removal of sheetrock will likely be necessary to be able to fix the problem. If it does not recreate the leak, you have eliminated the drainage and can proceed to the next step. Next, turn on the water to your tub. Since you have already eliminated the drains, if the leak shows op now, you know that the problem is either in the faucet itself or the pipe going from the faucet to the tub spout. The easiest thing to do now, is to take off the shower handle(s) and trim and see if you can see anything happening in the wall. Next, turn the shower on. Be careful to make sure that the water is going directly to the tub and not splashing the walls. If the leak shows up now, it is either the pipe between the faucet and the shower head, or the shower arm itself. The latter is the most likely. If you still have no results, it is time to start splashing around some water. Try running water over the overflow cover, the shower handles, different areas of your tile, etc. Splash water on your shower doors too – anywhere where water might go when showering needs to be exposed to water. The trick here is to do everything one at a time, so that when you get a positive result, you know what caused it. If you have followed these procedures to the letter, your plumbing leak will be found by the time you get to the end. Just be patient and keep your eyes and ears open. Now for the spoiler – Can you guess what the majority of upstairs plumbing leaks is caused by? By far, the most common cause is a problem with the tile. Usually something that can be fixed by simply applying tub and tile caulk to the defective area. It’s kind of silly to remove sheetrock from your ceiling to diagnose that your tub needs to be re-caulked, don’t you think? Stay tuned for more plumbing info and tips to come soon! As always, I am available to answer any questions you may have via comment, the contact page or our plumbing forum. 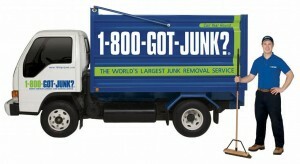 « What is an Emergency Plumbing Repair? This is a great tip! You really don’t want to have to replace any drywall, especially with a popcorn ceiling if you don’t have to. Leaks can be deceiving, and it is best to have a couple sets of eyes around. A pin hole leak in a toilet supply line can make it look like water is coming from behind the wall! Caution! It would have been a lot easier fix, had I not initially starting chasing the leak behind the drywall! Quick question, since you all seem much more educated in plumbing than me; I have a house that was built in ’61. The carpet outside the guest bathroom is wet, but I see no source of water or a leak anywhere, including on the ceiling directly below. Currently, the master bathroom shower is clogged and the two share a wall but there seems to be no issue with the carpet in the master bedroom. What is the best way to approach this? That is a set of interesting circumstances. By “ceiling below”, I take that to mean it is on the second floor. If the leak were to be in a pipe under the floor, I would expect it to show up in the ceiling below before showing itself in the carpet. As that is not the case, I would suspect something above ground. Perhaps your backed up shower is leaking, and the water is traveling under the shared wall to show itself in your carpet? It is really difficult to know for sure without seeing everything. Either way, it is clearly a job for an experienced plumber. Start with having the shower unclogged, and do some creative diagnostics afterwards. Perhaps taking a small piece of sheet rock out of the common wall might reveal the source? Like I said… it’s hard to tell from over here, but yes… an experienced plumber sounds like the correct course of action here. Good luck!